Custom home with updates. Split bedroom design. Enjoy serene island waterfront living just minutes from downtown Savannah. This waterfront home is short boat ride from the area’s best fishing spots and miles of secluded beaches & barrier islands. Towering live oaks and palms on Mercer Inlet with quick, easy access to the ICW. 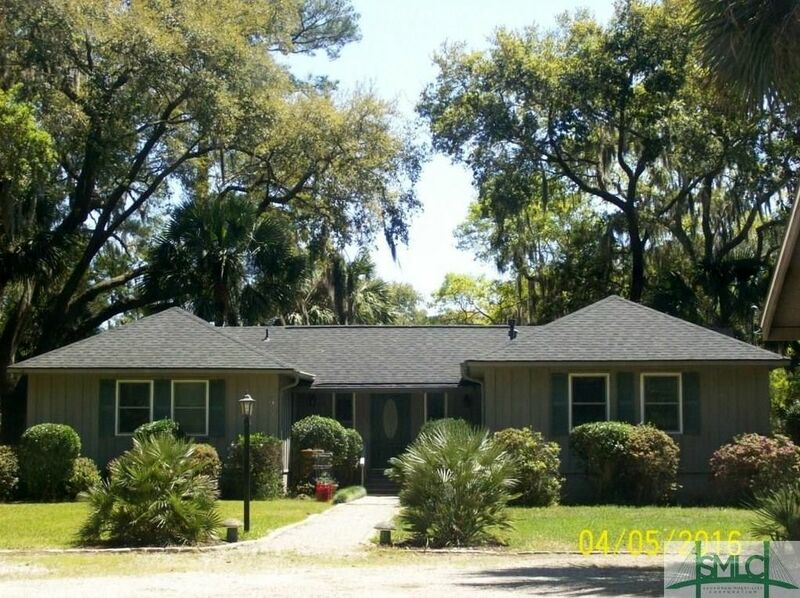 The well maintained home sits on almost an acre of land and includes many custom features. Enjoy cozy fires in the ballast stone fireplace and prepare seafood caught right from the dock in the updated kitchen with stainless steel appliances, Corian countertops, and butler’s pantry. Experience the island’s diverse wildlife while dining via the large doors adjoining the screened porch. Just a short distance from the back porch is the floating dock and two drive-on boat lifts with views of the ICW/Burnside River. Two storage sheds, covered kayak storage, and double carport with loft space provide ample storage for equipment and watersport gear. Directions: Ferguson Ave to Shipyard - turn left on Sullivan - then right on Island Rd.